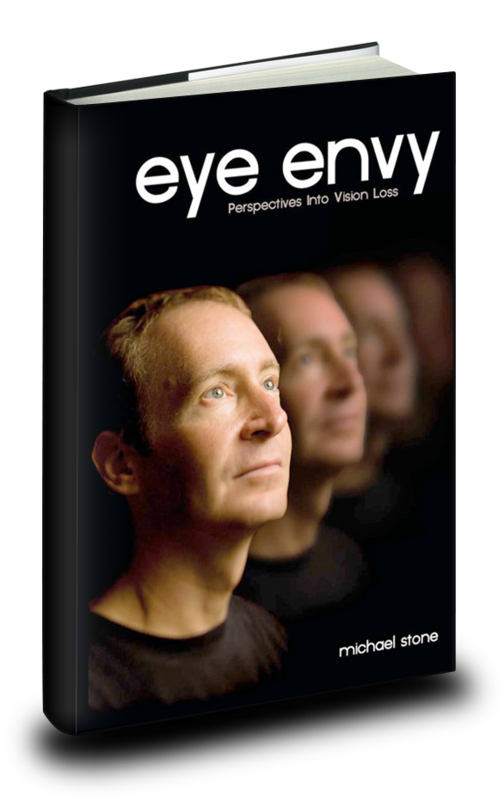 Michael Stone is the author of "Eye Envy: Perspectives Into Vision Loss," a visually impaired 12-time Ironman triathlete, off-road triathlete, ultra-runner and mountain biker, coach, adversity counselor, speaker, and fundraiser. Michael's book, Eye Envy: Perspectives into Vision Loss, chronicles his own experience with Retinitis Pigmentosa-Cone Rod Dystrophy as well as the perspectives of others who are directly or indirectly experiencing various phases of vision loss through retinal degenerative disease from macular degeneration, retinitis pigmentosa, stargardts, cone-rod dystrophy, LCA and other degenerative conditions. Through these stories, readers will find both practical information and emotional insight for coping with all forms of degenerative blindness. Proceeds benefit Foundation Fighting Blindness. Click here to read Eye Envy on Kindle or iPad from Amazon.